Maryam Alsaabri has been a professional futurist since 2016. She has been leading strategic foresight process in various subfields related to national security in UAE. She has been an adviser at the American University in the Emirates. In 2018 she has worked with the FACN strategic foresight team to design a scenario-based studies in relation to the future of Emirates ID. Currently, Maryam works at the General Directorates of Residency and Foreigners’ Affairs. She provides training in strategic foresight for employees at government organizations and others. 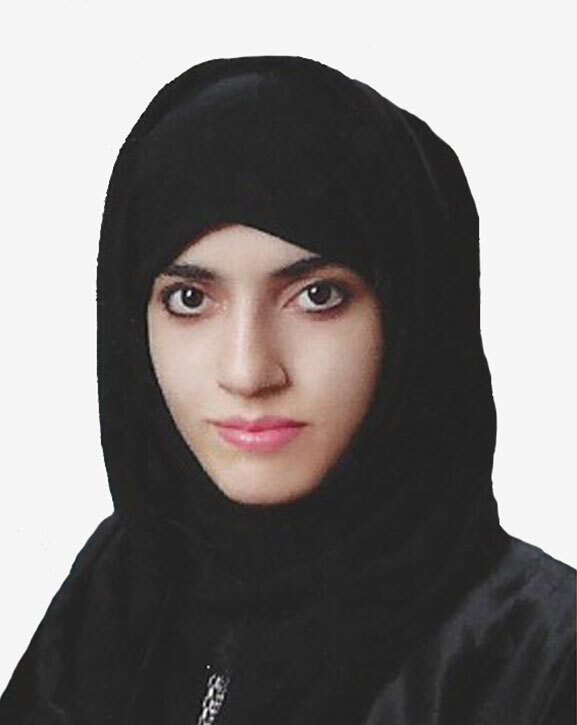 Maryam obtained her Bachelor’s degree in international Affairs, and Communication Studies at Zayed University, her Master’s degree in Security and Strategic Studies at the American University in the Emirates, and currently taking her DPRS in Future Foresight at security field at Southern Queensland University. Her interest in Strategic planning future affairs made her pursue a career in strategic foresight. She has been leading many foresight studies on a variety of topics including airports and visas, and residencies, passport, government identification cards, and national security. Tomić, D; Al Saabri, M; Rasheed, F. (2018). STRATEGIC VISION AND UAE ECONOMIC SUSTAINABILITY. Proceedings of the 1st International Scientific Conference on Circular and Bioeconomy. Tomić, D; Al Saabri, M; Korač, S. (2018). UAE CRISIS MANAGEMENT APPROACH. 11th INTERNATIONAL SCIENTIFIC AND PROFESSIONAL CONFERENCE: CRISIS MANAGEMENT DAYS 2018. Tomić, D; Al Saabri, M. (2018). STRATEGIC SECURITY MANAGEMENT. International May Conference on Strategic Management.